A bee is seen above and below in the butterfly garden on the University of Texas Rio Grande Valley Campus recently in Brownsville. 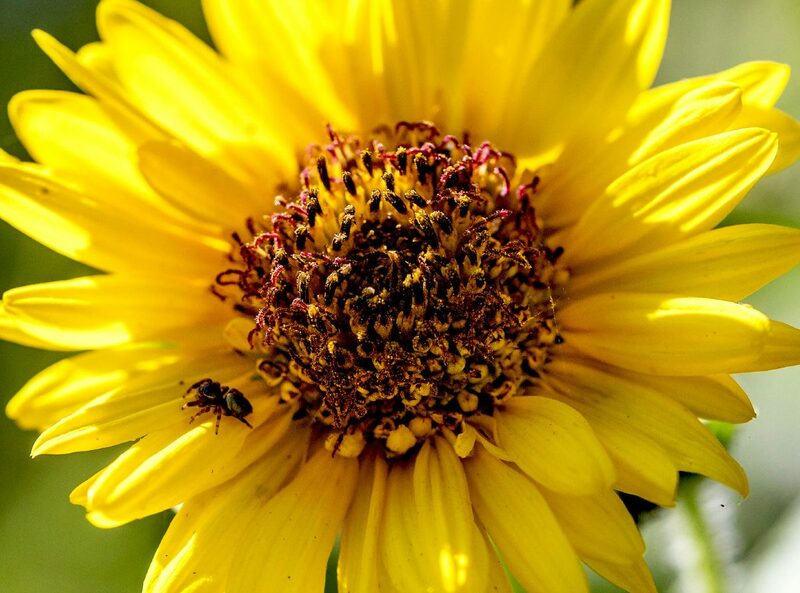 The University of Texas Rio Grande Valley has been certified as an affiliate of the Bee Campus USA program, which encourages campuses to help all pollinators — not just bees — by providing a healthy habitat rich in a variety of native plants and free of pesticides. UTRGV is now one of just 50 educational institutions in the country to be certified. 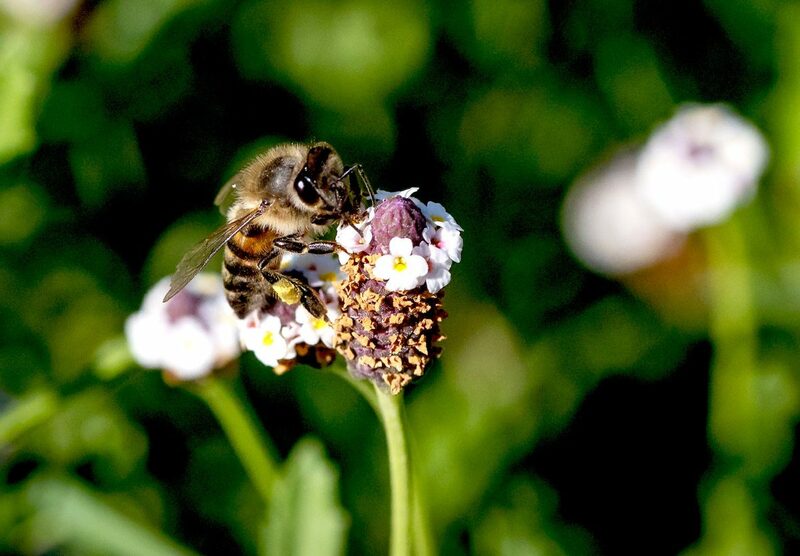 Bees, butterflies, moths, beetles, flies, hummingbirds and many other winged species are responsible for the reproduction of 90 percent of the world’s wild plant species, and for one in every three bites of food we consume. Bee Campus USA is an initiative of the Xerces Society for Invertebrate Conservation, a nonprofit organization based in Portland, Oregon, with offices across the country. The Lower Rio Grande Valley is an area that can especially help with butterflies, as it is home to nearly 40 percent of the 700 species of butterflies found in the United States. UTRGV recently added a butterfly garden on the Brownsville Campus. Becoming a Bee Campus USA is one of the latest designations UTRGV has received in its sustainability initiatives. In April, UTRGV earned the Tree Campus USA distinction for the fourth year, and earlier this year, the Association for the Advancement of Sustainability in Higher Education’s Sustainability Tracking, Assessment & Rating System awarded the university gold status.